Available exclusively to CEC customers! Below you will find information on exclusive product lines and service offerings available to Courtesy Electric Customers. Courtesy Electric Company has partnered with a select group of home builders and product suppliers to offer an exclusive pairing of carefully selected smart-home products and industry leading services. Combining state of the art smart-home technology and data interfacing, home theater systems and lighting solutions to suit any atmosphere. Courtesy Electric Company and TEKREDI offer multiple packages that will allow you to personalize your home's lighting, audio, data and smart-home features. These exclusive packages take the guesswork out of your new home build, ensuring that every component works as designed, but also works in harmony with every feature of your new home. TEKREDI offers Courtesy Electric Company customers effortless control for a carefully curated selection of LED recessed can lighting, LED under cabinet lighting and many wall fixtures. These standard and optional lighting options allow our customers to dial in the perfect atmosphere for their new home. When paired with smart dimmer switches, motion activated switches and smart home interfaces, we give our customers unparalleled control over the ambiance, mood and safety of their living spaces. All of the lighting and dimmer switch options we offer can be integrated into the available Intuity by Legrand Smart Home Interface. This solution allows capability to control energy efficient lighting, home audio, home security systems, garage doors and much more. This room features both our Recessed LED Can Lighting as well as a pair of nearly invisible ceiling speakers from TruAudio. This finished basement playroom features Recessed LED Can Lights and flush-mount ceiling speakers from TruAudio. Courtesy Electric Company and TEKREDI have partnered with TruAudio to offer a line of flush-mount ceiling speakers that integrate seamlessly with the Digital Audio by Legrand. Hidden in your ceilings with no fear of sacrificing sound quality, you will have performance similar to many floor standing models, but with the ability to disappear into any room's decor. These speaker lines offer incredible sound quality and can be arranged in individual "zones" that allow multiple sources to provide streaming audio to different areas at the same time. We also offer multiple home theater systems and outdoor audio solutions to suit even the most refined ear. Courtesy Electric Company offers many standard and available options for data interfacing, connectivity and switches for lighting control. From motion sensing night lighting switches and smart dimmers that can be controlled via Intuity by Legrand, to data ports, USB charging receptacles and much more. Many of these switches and ports may be included as standard equipment in your new home, and are available as an upgrade in additional rooms of your preference. Basic pre-wire packages include Intuity dimmer switches, Media Ports, Digital Thermostat and Garage control with the capability for future enhancements. Available upgraded packages include integrated home security systems, USB charging receptacles, Holiday Lighting control, Intuity dimmer switches and LED lighting upgrades throughout your new home. 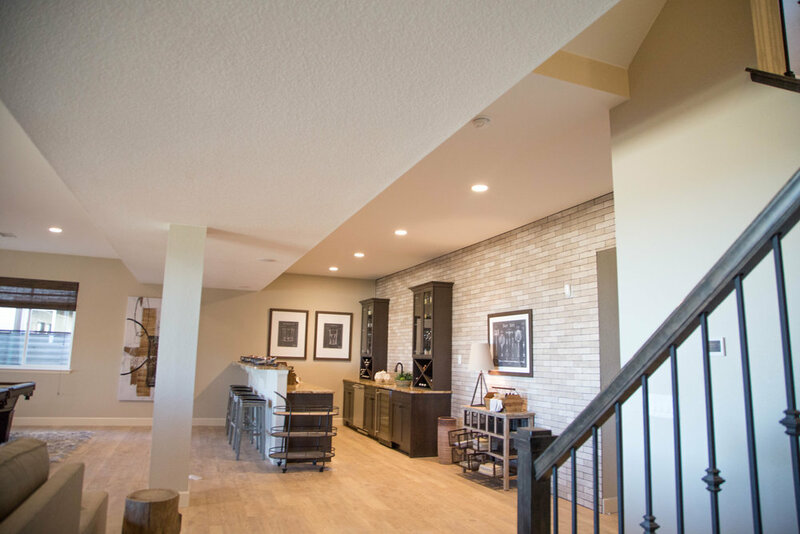 If you opt for a finished basement, Courtesy Electric Company also offers a full lighting and connectivity, audio and data package to complete your finished basement. With the rise in demand for electric powered vehicle charging stations, Courtesy Electric Company offers prewire options through your home builder for future use. 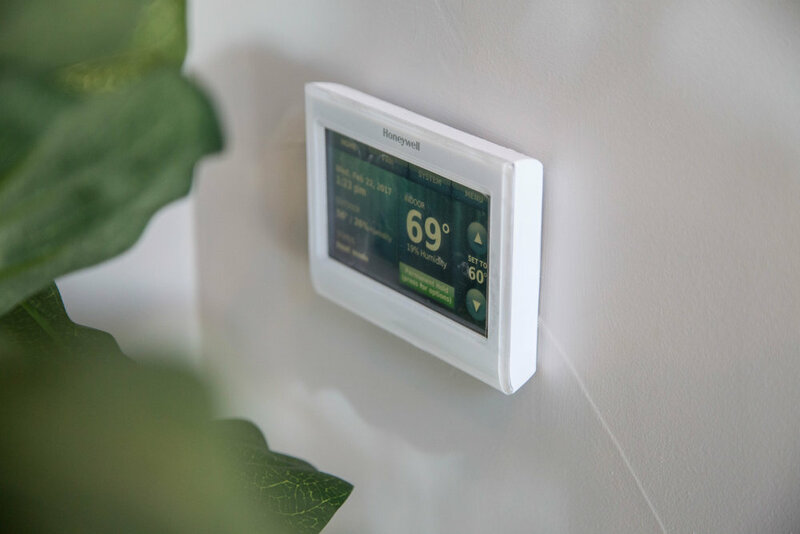 Courtesy Electric Company offers a selection of smart thermostats that seamlessly integrate with Intuity by Legrand. These thermostats offer complete control from both the main unit as well as remotely through the Intuity smart-home application. 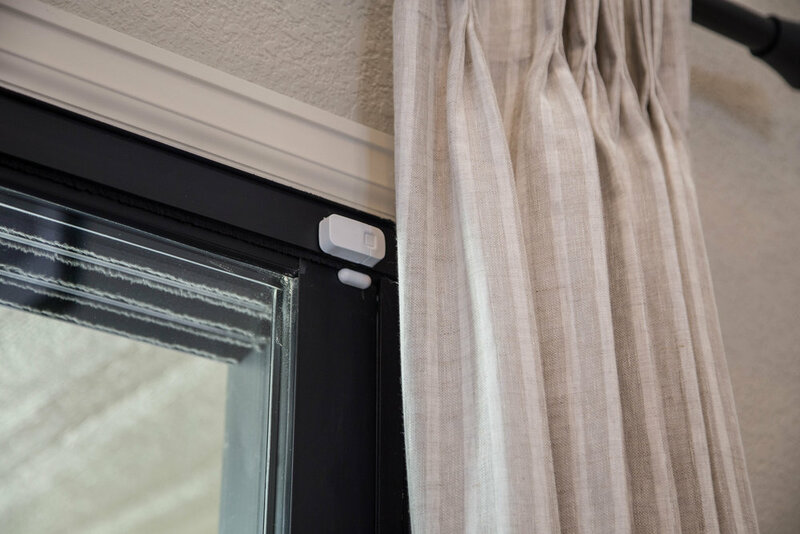 Our integrated security packages feature sentry monitors at doors and windows that can be monitored remotely via the Inuity by Legrand smart-home application. Courtesy Electric Company's available security packages start with a basic keypad and sentry and progress up to security camera packages, smart door locks, remote monitoring and control via the Intuity by Legrand smart-home application. These communities are the foundation of Courtesy Electric Company. Our core values revolve around our commitment to providing the best service possible, and in doing so we spend years investing not only our skills, but our heart and soul as well in the development and construction of these amazing communities. "Life is about forging your own path. Connecting one amazing experience to another, like stepping stones, until they form a direction that is entirely, uniquely your own. That's the philosophy behind this Shea Homes master-planned community in Parker, Colorado. Stepping Stone is a place that invites you to explore, discover and delight in redefining "home" and finding the perfect fit for your family." "An Award-Winning, Private, Gated Community in Highlands Ranch"
"It seems like just yesterday that BackCountry was named Community of the Year based on the following criteria: community design appeal, architectural continuity, sensitivity to natural or created environment, landscape design, creative use of space, materials, amenities, and overall community site plan. Over the years, those same award-winning qualities have continued to fuel robust sales and produce happy homeowners who have the unique privilege of living in one of the best communities in Colorado: BackCountry." "Nestled on the northern edge of the black forest, Whispering Pines will soon be home for those seeking an authentic and unique Colorado setting." "As a resident you will savor the arching, pine canopies that provide residents with stunning views as well as a walk in the pines – just outside their door. Your day at Whispering Pines will include the sound of wind rustling through the branches and the smell of pine needles as they blanket the ground. You are home… you live at Whispering Pines."